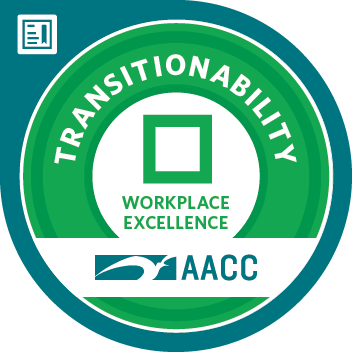 TRANSITIONability focuses on preparing for and executing a smooth job transition when entering or moving within the workforce. Use framework to identify what is needed for a smooth transition regarding basics, job search prep and execution and work. Apply strategies to plan ahead for meals, clothing, and transport upon transitioning into work or a new job. Employ strategies to establish and maintain restorative balance upon transitioning into work or a new job, including self-care and support. Implement approaches to make the most of employment orientation, making a strong first impression when introduced to and getting to know co-workers. Apply strategies to increase success in the first 9 days on the job including understanding and meeting expectations, establishing engagement, learning the culture, getting to know the team & planning.